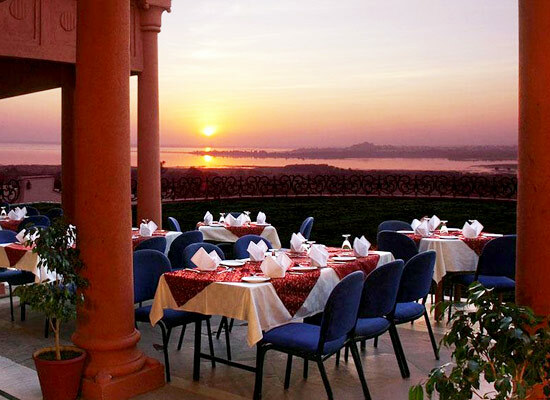 "Overlooking the tranquil Bhopal Lake, WelcomHeritage Noor-Us-Sabah is enveloped by the Vindhya Hills and is one of the best heritage hotels of Bhopal. 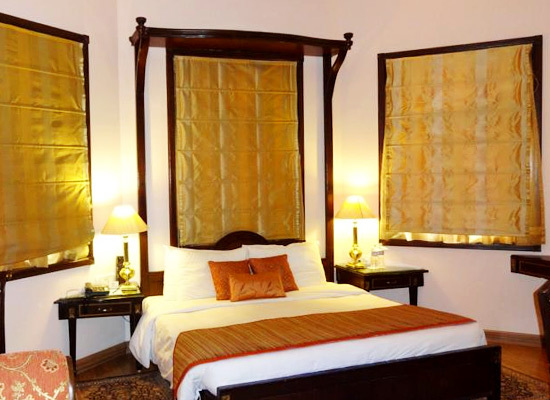 The property is placed on a hilltop and is well-equipped with all kinds of world-class comforts. 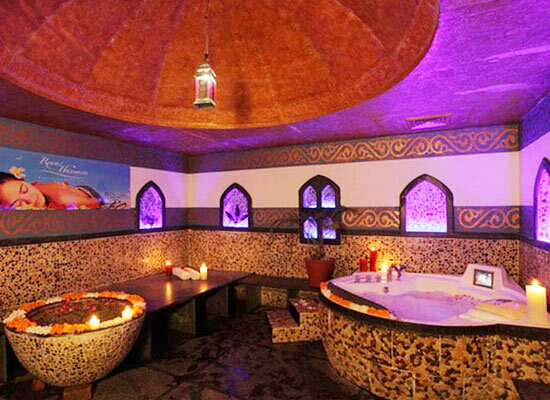 The guests can enjoy a memorable stay amid impeccable hospitality services. The rooms and suites have an amazing decor and come with all the contemporary amenities. There are three dining venues, serving lip-smacking Indian and World cuisines. Translated as the ‘Light of Dawn’, Noor-Us-Sabah was constructed by H.H. Nawab Hamid Ullah Khan, during the 1920’s for Begum Abida Sultan, his eldest daughter. 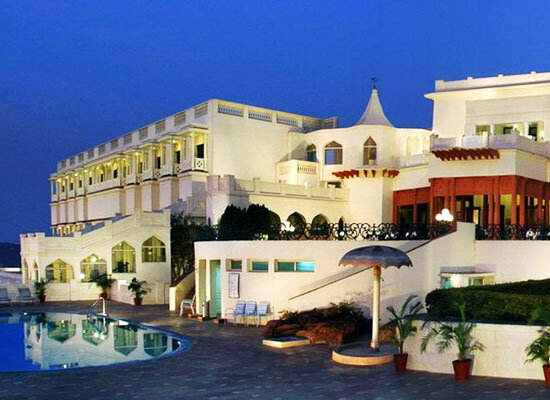 It is known to be one of the finest residential Palaces of Bhopal. Its royal architecture is absolutely stunning. 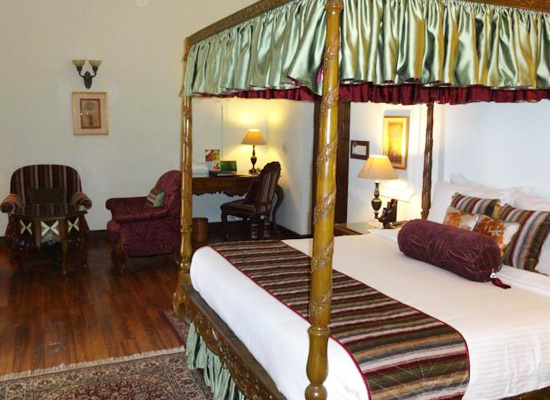 Now a popular heritage hotel, it lies amid well-manicured gardens. The rooms and suites at WelcomHeritage Noor-Us-Sabah palace are a world of luxury placed in a refined setting to suit the liking of discerning guests. The interiors are absolutely regal, giving you an amazing feeling. 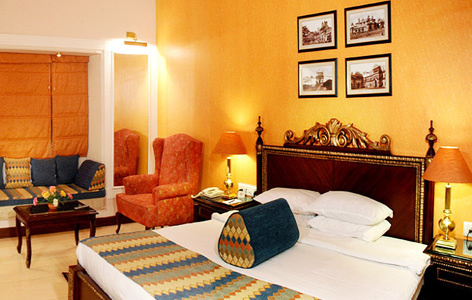 The accommodation is an amazing blend of traditional décor and contemporary facilities and amenities. Savor the wonderful views of the lake from your rooms. Some of the comforts here are fan, air-conditioner, king-size four-poster bed, LCD TV with satellite connection, mini-bar, telephone, tea/coffee maker, Wi-fi facility, center table with sofa set, work desk with chair etc. The attached bathroom comes with complimentary toiletries, and sunken bath tub. 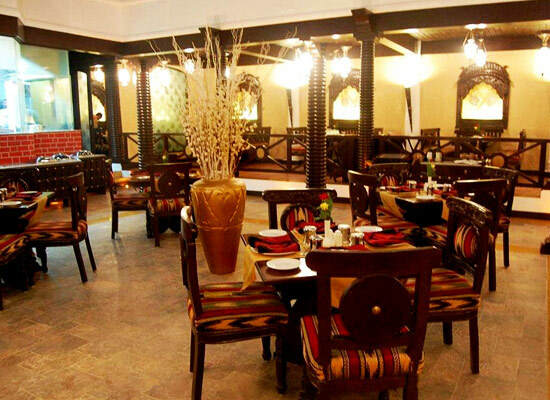 Serving finger-licking delicacies of Mughlai and Peshawari cuisines, Za-aiqa lets you experience a royal fine dining. The décor of the restaurant is wonderful. Guests can even see their meals being prepared through the see-through live display kitchen. The chef and his team use freshest of ingredients. The recipes come straight from the royal kitchen. Dynasty is an Oriental restaurant that offers authentic Shanghai, Hunan, Cantonese, Szechwan, Mandarin, and Peking fares. This Pan Asian restaurant has an amazing décor and offers impeccable services to the guests. An open-air restaurant, the Marble Arch lets you enjoy your meal peacefully while treating your eyes to the wonderful views of the lake and the city. Another open- air restaurant at Noor us Sabah hotel in Bhopal, Sunset Bar-be-que offers lip-smacking delicacies along with live music performances. Bhopal, the capital city of Madhya Pradesh is a popular tourist destination. The city is a tourist friendly and is accessible with all modes of transport. The city is reached by road, rail and air routes. The city is a wonderful example of a perfect combination of Islamic and Hindu culture.